These are simply the easiest, quickest cakes you will ever make. Some take less than ten minutes to prepare. Others don't require baking at all. But they are all attractive, delicious, and impressive enough to serve on even the fanciest occasions, and the variety means that there's always a recipe to suit every taste. Go classic, with a traditional Butter Cake or one that's Cinnamon Scented. Fruity pleasures include Summer Apricot Grape, You'll Go Bananas, and Very Blueberry cakes. Chocolate lovers will swoon for the Best Brownies. 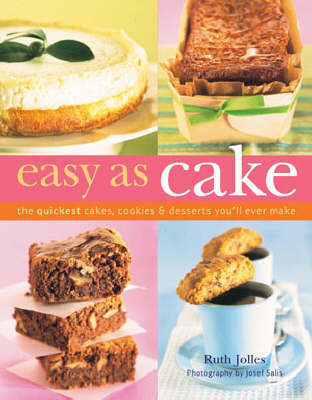 Cheesecakes, ice cream cakes, sweet rolls, and treats for the cookie jar round out the dazzling array of delicacies.